Heroin is an opioid, first synthesized and sold in the late 1800’s. Like other opioids, heroin has a calming affect on the body, used as an antidepressant and a painkiller. Opioids have been used for centuries to provide relief from pain beginning in Egypt before making their way to Europe and India. Derived from opium poppy sap, opioids can be found in the form of powder, tablets, pills, syrups and capsules. Heroin is typically sold in a powder that is most commonly injected, but can also be snorted smoked or sniffed. It is one of the most addictive substances on the market, which is why it is the most deadly. It has become one of the most widely used drugs amongst users worldwide with statistics rising everyday. In the United States, heroin addiction has become an epidemic. In our country alone there are currently over one million heroin users across the nation. This startling number is five times what it was in 2000, increasing at a dramatic, unprecedented rate. Over 10,000 individuals die of a heroin overdose every year, which accounts for roughly 60% of all drug related deaths. In the past, most of the country’s heroin use was confined to urban areas. This is no longer the case as heroin addiction has spiked in suburban and rural communities, as well. It is important for all of use to be educated about heroin addiction and how to deal with the issues that have risen because of our country’s epidemic. We must be armed with the facts about heroin abuse to start combating the problem and making headway towards a solution for the future. This article is intended to inform others on exactly how heroin addiction affects the mind and body of a drug addict. We will be discuss, explain and explore dopamine, opiate receptors, and the symptoms and side effects of heroin addiction. Dopamine – A neurotransmitter that controls emotions, motivation, movement and pleasure and plays a major role in reward based systems. Certain drugs, like heroin, produce excess amounts of dopamine in the brain. This dramatic increase in a feeling of euphoria is what keeps addicts coming back for more. The brain is rewarded with a spike in dopamine when a an addict is using heroin, causing it to crave the drug to produce another high. Opioid receptors – A group of receptors in the brain with opioids as ligands, a molecule that binds to another. When opiates attach to the group of receptors, the brain sends signals to block pain and other senses related to emotion. The result is slower breathing and a calming feeling. Opiates and Opioids – Alkaloid compounds naturally found in the opium poppy plant. Psychoactive compounds are found in opiates that trigger different sensations in the brain and body. GABA – A Neurotransmitter that plays an important role in anxiety and more. Typically, GABA inhibits the amount of dopamine that is released in the brain. However, the use of opioids prevents GABA from working properly, allowing excess amounts of dopamine to be produced when heroin is in the system. 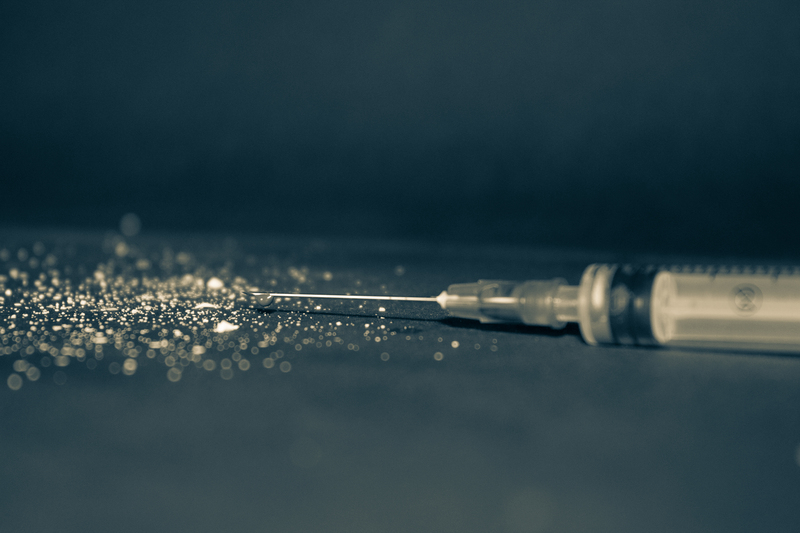 What Happens To Our Bodies When We Use Heroin? When heroin is introduced into the bloodstream it travels to our brain and attaches itself to the opiate receptors in the cortex. What happens next? Our bodies produce dopamine in excess and our brain becomes flooded with the neurotransmitter. We experience an intense feeling of euphoria and pleasure, rewarding our brain for using the heroin. Opioid abuse also decreases our level of GABA. Low levels of this neurotransmitter are linked to irregular sleep patterns, depression, excessive stress, and anxiety. Because GABA is involved in the slowing of dopamine release, without this key component dopamine is produced in higher levels. During my heroin addiction, the drugs made me not have a care in the world. I felt euphoria every time I was using and I couldn’t be brought down from the high that I felt. The grass looked greener and the sky looked bluer. Prolonged heroin use leads us to this state of being. What are the Signs of a Heroin Addiction? What Are Some Side Effects Of Heroin? The are many side effects of heroin use that keep heroin addicts using. When the body is not under the influence of the drug, the side effects worsen on an even greater scale. The body begins to go into withdrawal just hours after last use, keeping addicts coming back for more and more. What are the Long-Term Effects of Heroin Addiction? At the end of my heroin addiction in 2010, I could not get high and had to use to not feel extremely sick. This is a very dark place to arrive at, but it is darkest before the dawn! What Keeps Heroin Addicts Using? A while into abusing opiates, us addicts experience withdrawal when our body is not flooded with dopamine and the chemicals are leaving our bodies. These withdrawal symptoms can be painful and unpleasant which is why so many addicts continue to use. They want to avoid what they know will come when the heroin runs out. As difficult as it may be, a safe, effective, medical detox is necessary to move forward with a healthy, happy and sober life. I’ve been there and I needed help to get sober. I would not have made it if it wasn’t for the group of people and support system that guided me through my early recovery. There is a way out. At Pathfinders Recovery Center, you will meet the owners including myself on the first day of arrival, and throughout your stay you will receive the individual time and attention you deserve. Please call or message us if you or a loved one is struggling. Addiction is literally a matter of life and death. We are here 24 hours a day to help.